Cloudy Eclipse - Like in my other photo of this lunar eclipse, the moon's surface appears dark in one part and more illuminated in another. This is due to the fact that (the lower) part of the eclipsed Moon is in the Penumbral part of Earth's shadow, while the other (upper) part is covered by the Earth's darker Umbral shadow. 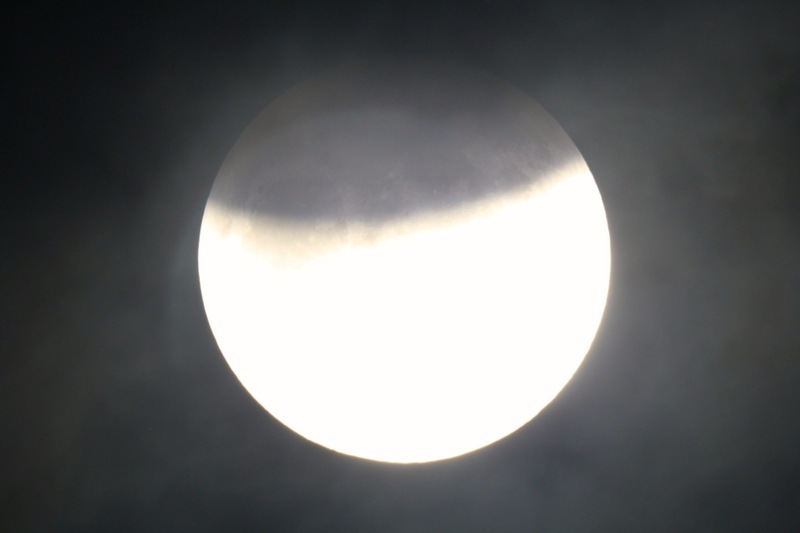 This picture has the added effect of a light cloud cover, through which the eclipsed Moon is still visible.